VERY LOW MILEAGE! 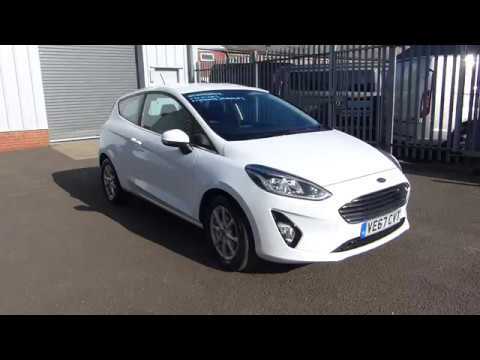 Boasting in the AWARD WINNING 1.0l Ecoboost engine, this car has everything you need, such as; Reversing Sensors, DAB Radio, Bluetooth, Front and Rear Fog Lights, Steering Wheel Controls, Automatic Headlights, Trip Computer, Two Front Electric Windows, Stop/Start Assist, USB Connectivity, Aux Connectivity and Power Fold Mirrors, finished in the STUNNING Frozen White Paint!! Buy with confidence from our family run, friendly Ford Main Dealership! For your PEACE OF MIND this vehicle will be prepared to the highest standard, will be inspected by our professional workshops and fully valeted ready for you to enjoy! Don't forget to ASK ABOUT OUR LIFETIME WARRANTY OFFER on this car!!! Please do call and pre arrange your viewing and test drive... our friendly, professional team very much look forward to helping you!